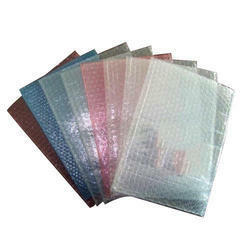 Leading Manufacturer of bubble wrap, transparent air bubble bags, metallic bubble bags, air bubble rolls and air bubble bags from Vadodara. 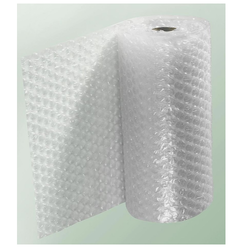 We are suppliers of Bubble wraps,that provide perfect protective packaging with your fragile valuables. Bubble Envelope with single bubble lining. Double Bubble Envelopes with double bubble lining. Bubble Lined Courier Bags with POD Jacket and single bubble lining. 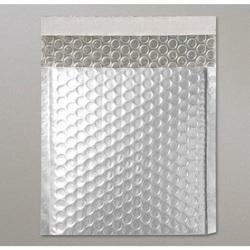 Self Adhesive Bubble Envelope with transparent, permanent self-seal closure. 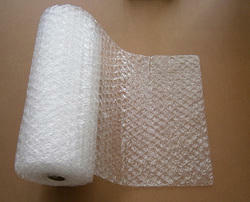 We are suppliers of Bubble wraps, that provide perfect protective packaging with your fragile valuables.